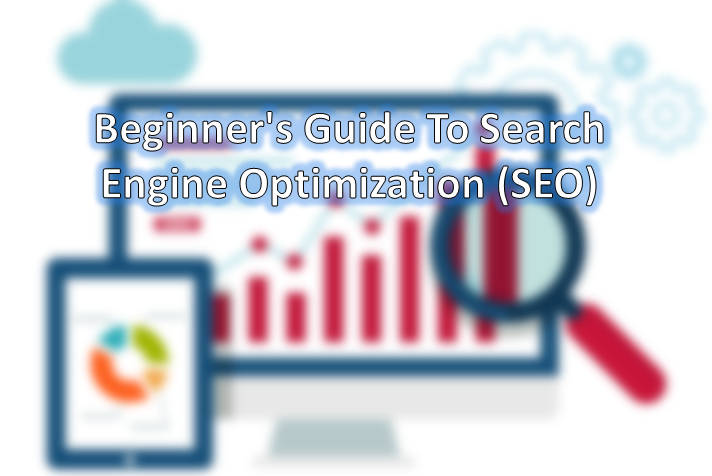 This guide will be very useful for those webmasters who are new to the Search Engine Optimization (SEO) of their sites and are interacting both with the user experience and Search Engines like Google. Remember this guide will inform you about the different aspects of SEO and we are not going to reveal any secrets to bring you site in top search results, in fact, this guide will help you to make search engines like Google bot to index, understand and crawl your site easily, so that it can be displayed in the Google Search Results. Search Engine Optimization seem to be harder especially for beginners but believe me it is nothing, in fact, SEO mean making different changes on you web pages so that they can become user-friendly as well as search engines friendly. When we take our online business, blog, communities and websites etc. seriously and start taking many such small but shiny actions on our contents they improve our site, when all of these small (but useful) actions are combined they result in highly search engine optimization of our sites. Normally beginners though search engine optimization is making their sites search engines friendly but this is not the fact. Search Engines are just a source to appreciate your hard work as they can deliver a good number of organic visitors to your sites. When you work hard on something like I have done hard work on this topic and make it a little SEO friendly you start getting the results of your hard work, I want to make you understand SEO mean optimizing your site for visitors not for search engines. Ponder on this point “if you take much care of search engine and also get started getting good traffic but when any visitor opens your site from the Search Engine Result Page and did not find anything helpful on your site then he ultimately clicks on the back button and looks for some other pages which can help him” this gives a bad impact on your site to Google and when many visitors do so your site results are not displayed at the very top of the search engine result page, and ultimately your ranking goes down and down. Now think if your site has good contents although not the first position at search engine result page when any user opens it and can keep reading your contents then it produces a good impact on Google and Google ultimately promotes your site and you get started getting good traffic as well as your ranking is also increased. Following are some guides and pieces of advice that can help you make your website SEO friendly. Contents are the backbone of your site. 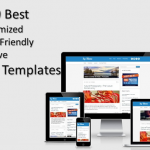 If you create your contents effectively then your site will rank higher and higher. Unique and useful contents will influence your visitors and the search engines the most than any other factor listed here because when the backbone is fit and fine all the body is also fit. When you start creating good contents for your users they start reading it, they like your contents, they share your contents, they link your contents, they talk about your contents and resultantly your site becomes popular and earns a good reputation. When you have written a good or the best content the second this is how your visitors will find your contents, if your site is full of good contents but not have any good visitors then what is the reason, the reason is the keywords. You are not using such keywords which users use to explore the web. For example, look at the keywords and title of this page, is the title reflecting the content of this page if yes then I have performed good SEO for this piece of information otherwise my hard work has not good results. How to create quality contents which rank higher? Well the answer to this question is not very simple, some webmasters says that if you create contents which have more than 2000 words, do not have any spelling mistakes, good arrangement of paragraphs, step by step information then your contents will be counted as quality contents and will rank higher and higher in the Google search results. But this is not much convenient answer as you must have seen many sites having posts of about 700 words but are show on the top search results page, the observation made by me on this aspect is it depends on the keywords which you are searching on the Google, for example, if you search for very popular topics which most of the sites have then Google might show those sites on top search results which have more words and are written in well way, but if you search for those keywords which are not much popular and many webmasters are not taking interest in that topic then the top results will be different in number of words this is due to the keywords popularity. If you can provide any kind of service to the people then you must try to provide such services which are totally new, such as creating image online. Nowadays many sites are providing different services to the people for free, such as download YouTube videos for free, edit your images online for free etc. if you can provide more services like this then the service should be new and best. Your first priority should be improving the contents and services for your users; it does not mean which kind of website you are running. Title tags are the most important tags for web pages as they describe the title of your page. The title of you page must effectively communicate the contents of your page. If you have many pages such as hundreds then the titles for all the pages must be different from other, and the most important thing is your title must be reflecting the whole page, not just a single paragraph. Now open the Google and search for something like “Beginner’s Guide To Search Engine Optimization (SEO)” look at the first result’s title you will see the words which are matching with your queries will be bold, this is for users assistance so that they can find the results they are looking for. The length of title is also an important aspect, what should be the best and maximum length for your titles, well this depends on the length of the container for example now Google is using container of 600 pixels so the length of your title can be 60 characters previous then this Google was using 512 pixels of length for its container and maximum 55 characters were enough. Description Meta Tags are also very useful for optimizing the contents of your site as these tags give information of your contents in a summarized form, for example, the description of this topic must be a summarized paragraph so that both the users and search engine can understand the contents of this page in just a few seconds. You would have noticed when users search for something on Google why they open some certain results, the reasons for opening some results not all is title tags and then description Meta tags. If you have written a good and summarized paragraph of your contents as description which can be easily understood and also be matching with your title tags then it is most likely that user will click your page from search results, when you have performed this job in a good manner then it does not mean either your page is on the top of search result or at the bottom as most users look at the whole result page before opening any site. There is one more condition with description Meta tags if you write them correctly then it depends on Google either it shows your description as the snippet or takes some parts of your page as snippets which match the users queries. Images also helps to optimize your contents, if you do not include images on your posts then it does not give very bad impact on the SEO of your post, but as I have described above you should optimize your contents for visitors not for search engines like Google so it is good practice to insert an image where it is need. When you insert images on your posts readers can understand many things which are harder to understand on words, for example, you are saying to do a specific task if you insert the image then users can understand every step easily. You can optimize your images for better search engine optimization, every image which you use in your article must have a distinct name and an alt attribute which will describe alternative text in case if the image is not available. You might know that images can drive about 20% of organic traffic to your site but it is only possible on that time when you optimize them in the correct way. A well-arranged navigation menu is very important for all kind of websites so that the visitors of that site can easily find the information they are looking for. You will be thinking how this will help in the SEO of your site. So this is very simple when any search engine looks at the root directory or homepage of any site it first scans for the URLs the URLs which are used to create navigation menu are thought to be important that’s why the main menu can help you in the search engine optimization of your site. Well, a navigation menu is very important for any site which wants to give its users a user-friendly interface, just think, if a visitor comes to your site from Google Search Results and want to learn something more than how he can find that piece of information from your website. The first source of that visitor will be the navigation menu, if you have arranged the navigation menu in a good manner by category of your posts then the user can very easily find the piece of information which he looks, moreover, it will also give a good impact to your site in Google’s eyes. You must have a breadcrumb lists on your site for easy navigation between different categories. Do you know what breadcrumb lists is? If no then let me clear it first, a breadcrumb list is a small line of links which lets the users navigate to the previous page with or without some category. For example, you visit a site which has a link list like below picture. The second source of the users to find the information on your site is a Search Box. Yes, search box looks something strange for SEO but believes me when someone starts searching on your site using Google’s Custom search it also increases the ranking of your site before Google. These factors are very minor but when we do them perfectly we find our websites popular and good number of visitors. As I have already described in the top paragraph SEO mean taking small actions on different parts of your site and when we combine all of these small actions we find our site search engine friendly and other’s think you are a very Good SEO. URLs can convey the contents very easily. For example, look at the URL of this page www.itechgyd.com/2016/07/beginners-guide-to-SEO.html can you understand what type contents this URL will display? Yes everybody can guess this URL belongs to a web page which has information about the SEO for beginners. Now give a look at this URL www.itechgyd.com/2016/7/34235-page-beg.html once again can you understand what type of contents this URL will link to? I know you cannot find this until you open the URL. Here is the point URLs can help your visitors to understand the contents of your site very easily either they are on Google Search Result Page or just giving a look at the URL of your contents on a social site. When Google displays your site’s contents in any search results the URL of the content is also listed at the bottom of each result displayed. Users can also understand the contents they are looking for from the URL listed in the Search Results. Moreover good and arranged URLs which reflect your contents can also help the Search Engines like Google to understand and optimize your site’s contents easily, although if you use any complicated URL Google can understand the contents but if your use arranged URLs then it is plus point for your and for the optimization of your site. If someone wants to link your URLs in his blog posts and uses your URLs as anchor text then arranged URLs can be very useful because when any visitor will look at the linked URL it will help him to understand the contents which are being linked. If your site has many subdomains and subdirectories then it may happen that your contents can be accessed from different URL, for example, a single page can be accessed by two versions of URLs such as www.subdomain.domain.com/content.html and www.domain.com/content.html if this thing happens then your content’s reputation will be highly affected by two different versions of URLs. Anchor text is the text which is used for pointing a particular web page between the link tags like below example. When you link something and write its Anchor Text it helps the users as well as Google to understand what you are linking to. If you use anchor text like here, this or any word like this and give the real reference of link on the previous line the readers might understand what you are linking to but Google cannot understand because, search engines have totally depended on the Anchor text, not on any reference described in the previous line, for clear understanding look at the below example. If you want to learn how to create your own blog then click on this link. Now if you choose “This Link” as your anchor text but described what is in this anchor users can understand what you want to link but Google will not, so you have to use better anchor text for your links. You should link your other posts on the new posts with related categories this creates the web on links on your site and both the users and Google can navigate your site easily. There are no any rules for writing anchor text but there are certain things which you should avoid while writing anchor text for your links. Avoid using lengthy lines as anchor text, such as a whole line or a small paragraph etc. Linking your older contents to your new contents is very useful it is also know as internal linking of pages. When you link such old contents which are related to your new contents readers much click on the links and jumps to your old contents, now this has many benefits such as you get more page views, readers spends more time on your site, your bonus rate decreases and ultimately you earn more. One of the best benefits of linking to your other contents is that if your some pages are not indexed in Google index they got indexed because when Google crawls your site it looks and opens each and every URL which is either present on your homepage on your any of your page. Linking to other sites look stranger but it is very useful for optimization of your contents because it when you link to any other high authorized site you gain trust both in the eye’s of Google and visitors because Google thoughts you are providing good information that’s why you have linked to some other high authorized sites related to your contents and readers get more in-depth coverage from your contents. Always link to high authorized sites. Never link unrelated contents of other sites because it produces many harmful impacts on your contents. Never link to low authorized site which have page with little or no information. Link building is also considered in of page SEO techniques. Link building is the most prominent way to rank your website higher and higher in a short spam of time without working too much hard for your own site but you have to work hard for getting back links from other sites. Using some black hat techniques can make your task of link building easy but it is very dangerous so you should now use any black hat techniques, instead, you should follow some other methods to get back links some of the most prominent methods are described below. Write Awesome Contents: If you write such contents which are really amazing and worth for your readers then you can get back links automatically as I have also linked to some sites because these sites had good information with rich posts, if you can write such contents then you will start getting linked automatically but it is not very easy. Do guest posts: Guest posts have been the best way to get back links easily, you just need to write a post for other’s blog and submit that post on their guest box, if your post is approved you will get some back links back to your site and that’s it. But there are some important things which you should see before you submit a guest post to any site. Always submit your guest post to high authority sites. Write such contents which are unique and helpful so that you can get your post approve. Domain authority of the site much be at least 20. You can see Shout Me Loud’s article on List of 50+ Quality Blogs That Accept Guest Posts. Commenting on other’s blog: Commenting on other blogs who have enabled dofollow comments is the most easy and one of the best method although this is considered as a black hat technique but it is really good becuase you just need to comment on other’s contents and you get a do follow backlinks easily without writing even a guest post. But remember it is not as easy as you thing because those who have enabled do follow backlinks will never let those comments to be published which have do this just for backlink, instead, you have to read the whole article and write your own reviews about that if you want to get your comment approved. You can see CommentLuv Dofollow blogs to see a blog’s where do follow comments are allowed. Formatting your pages in a good manner is very important as this help your visitors and search engines to understand what you are saying easily. Each and every post which you publish on your site mush is organized in a beautiful way for example if you are writing for any tech site then divide the steps into different lines so that visitors of your site can easily understand where a particular step competes. You should use Headings for better formatting of your paragraphs so that visitors can easily find that piece of information they are looking for, if you do not do so the visitors will read a few lines of your posts and when they do not see anything of their interest they will leave your site. But if you divide your posts into many paragraphs with the appropriate heading, subheadings, and bullet lists then users can understand and find the information they are looking for. No imagine you are writing a quote in your post, if you format the quote in quotes then users can search engines can find and understand the structure of your pages easily, instead, of just writing the quote without formatting. There are certain things which one should avoid for formatting posts in a good and beautiful way. Do not use the full paragraph as heading or subheading. Formatting links so that uses cannot guess where is link present. These were some aspects of Search Engine Optimization for beginners, you should follow them to optimize your websites. Seo is huge field. Means there are many subcategories of this field. If you want to be SEO expert, you have to do a lot of practice because if you don’t do it, then you can’t be perfect. 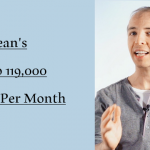 Many people are doing SEO and earning a handsome amount. Many newbies also learn SEO for money purpose but i suggest you to learn it to gain knowledge. Once you learn the art of SEO, i am sure making money will not be a hard thing for you. There are a lot of factors of a site ranking but the major ones are above mentioned. 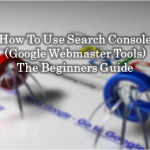 We explain each and everything which will help a newbie to learn seo basics. The advance level seo you’ll learn by yourself after practicing on your site. We suggest you to always go for white hat things and forget about the black hat because there is no chance for black hat seo. Google is smart enough and know well that who is spamming or who is providing value. Once you’ll learn white hat, i assure you never miss s single chance to rank your site. So, its up to you know because we explain to you everything. Now implementing them is up to you. So, this was our SEO step by step guide which will helps you to rank better in 2019. Just follow, implement and you’re done. I am sure you’ll get results soon. If you like this guide, share this with your friends and help them to increase their knowledge about it. Feel free to ask your questions. We’ll try to answer as soon as possible. Don’t forget to share your experience and give your feedback. We’ll appreciate it. This was a very insightful and a very informative post. This post will definitely help one's Serp and their blog if they follow all the information and directions mentioned here. Again thanks for this value-packed post. I’m amazed at how much information is here. I really appreciate you sharing this for everyone to see. I have found that our content is among one of the strongest ranking factors these days. It never used to be that way but, this is something that we really look at now. Thanks for sharing Dani, I look forward to reading more of your comment. Great newbie SEO stuffs indeed! No doubt, beginner will use these content with proper tricks and action plan. So clear and simple . awesome . it helped and worked.